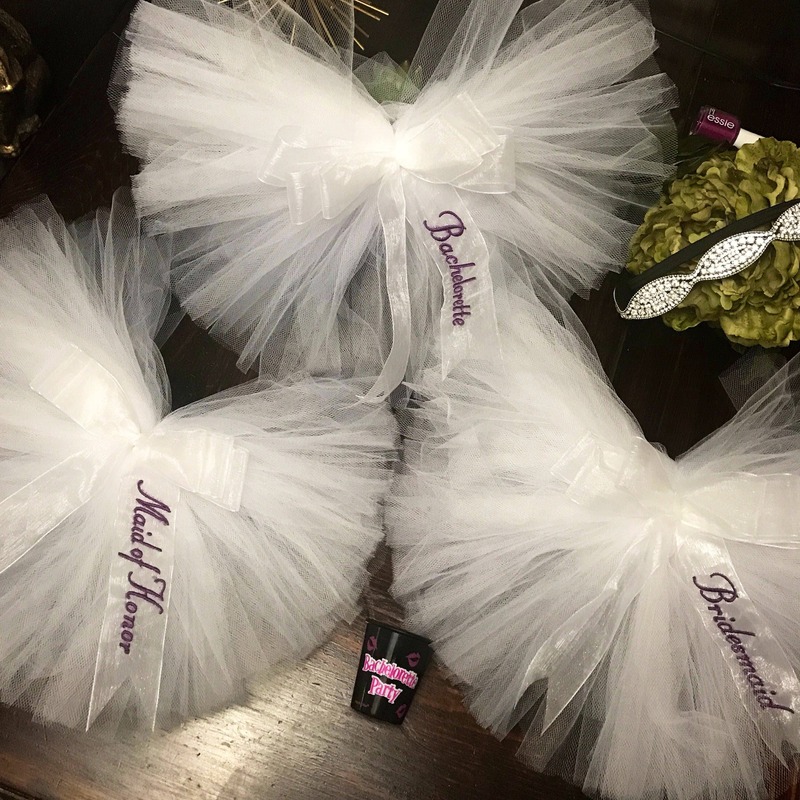 Our Patented Bachelorette Party Booty Veil™ but Monogrammed!! We've added the option to label it! Get the personalized Booty Veil. This adorable booty veil™ attaches to any swimsuit or skirt and will make your Bachelorette or Bride stand out! It's great for pool side bridal showers or for that Vegas Bachelorette Party! 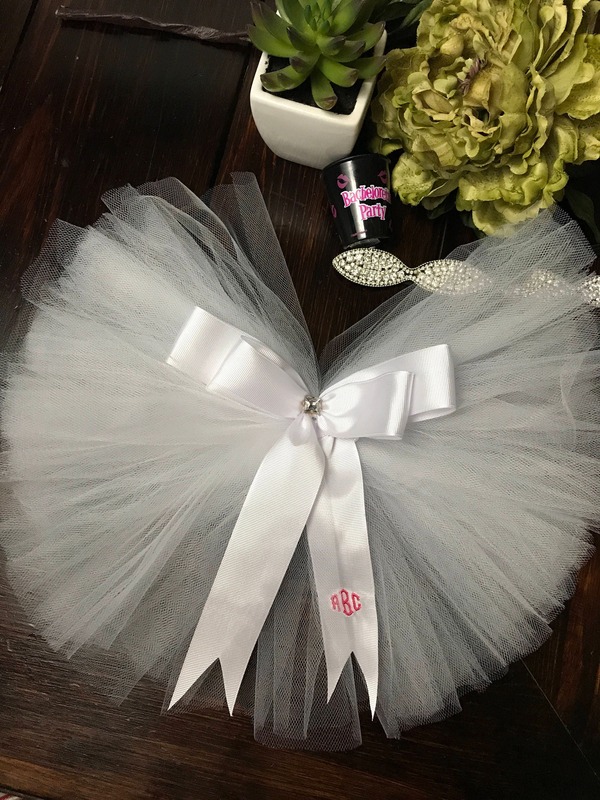 Please include in the seller notes the title you would like on each Veil as well as the monogram color. 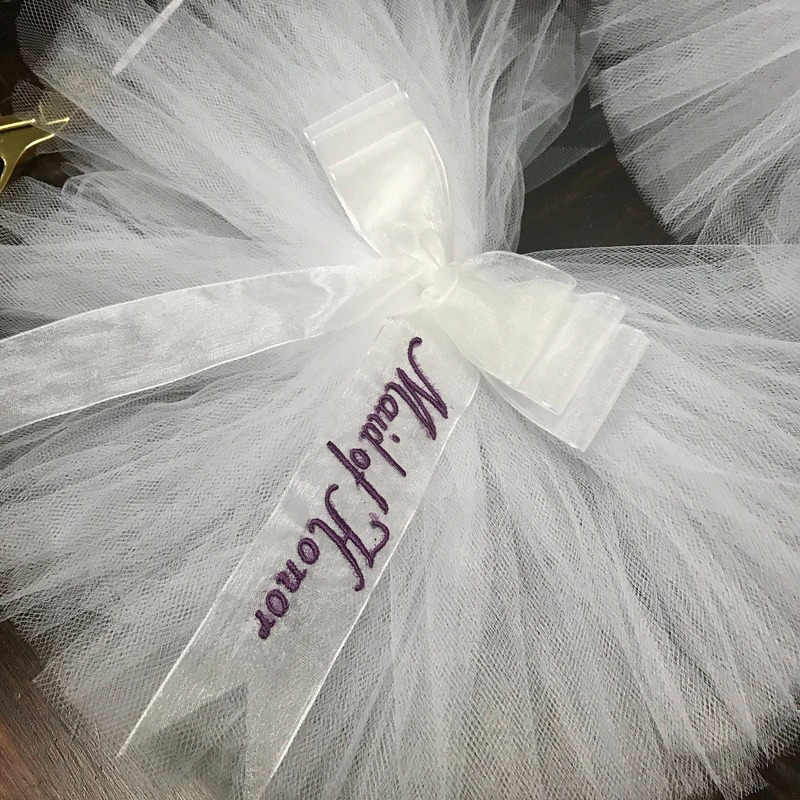 The Booty Veil™ is made of durable grosgrain ribbon and tulle. The monogram is in your color of choice and will not fade or bleed if gotten wet. The center is embellished with a small rhinestone. The shapes may vary so if you have a preference please let us know! !